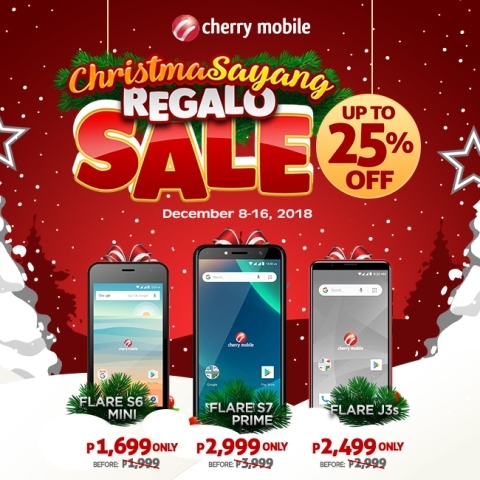 There’s no need to spend big on your christmas gift lists because Cherry Mobile’s Christamasayang Regalo Sale is here to save your wallets. From December 8 – 16, 2018, enjoy your Christmas shopping with up to 25% savings on Cherry Mobile’s incredible devices. 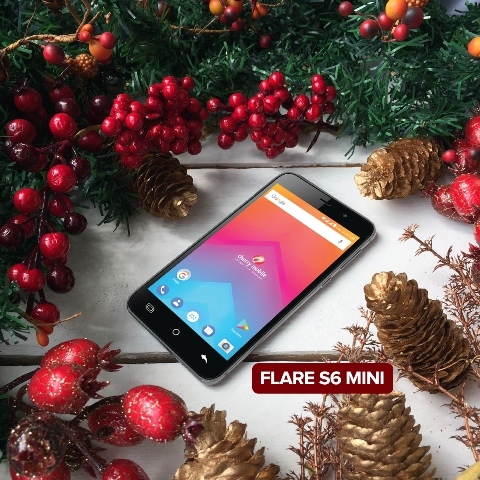 Good things come in small packages, and the Flare S6 Mini is a proof of that. It has a 4.5-inch capacitive screen, runs on Android 6.0 Marshmallow, and has a 4GB internal storage expandable up to 32GB by microSD. Available in colors black, gold, grey, red, and mocha, you can grab this device for only PHP 1,699. 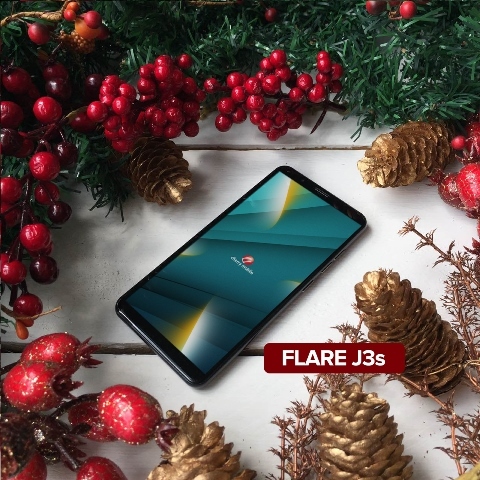 With its 5.3-inch TrueView 18:9 display, backed up by Android Go, the Flare J3s lets you take advantage of Android’s best features without sacrificing the internal storage. It also houses a 2,000mAh battery and 8MP rear and 5MP selfie snapper. At Php 2,499 only, the Flare J3s is the perfect budget-friendly gift. 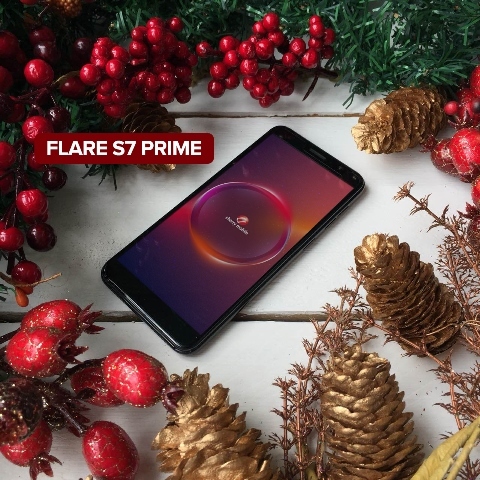 You can get your hands on the prime Cherry Mobile Flare S7 for just Php 2,999! The device boasts a 5.5” HD+ TrueView 18:9 screen display, powered by Android Oreo Go. It is packed with amazing features, from total viewing experience, to security through fingerprint sensor. The Flare S7 also gives you stunning color options: red, gold, and purple. Who says you have to break your bank to make your loved ones feel cherished this Christmas? With Cherry Mobile’s promo, you won’t have a need to compromise quality to get an affordable gift. And aside from amazing discounts, you will also get a chance to win at Cherry Mobile’s Wish Upon A Cherry Promo for every purchase of any Cherry Mobile smartphone. For more details on Cherry Mobile’s Christmasayang Regalo Promo, visit www.cherrymobile.com.ph and follow Cherry Mobile on Facebook, Instagram, Twitter, and Youtube.